Organised by the European Commission, EDD brings the development community together each year to share ideas and experiences in ways that inspire new partnerships and innovative solutions to the world’s most pressing issues. Humana has been at the forefront of global efforts to tackle some of the most significant development challenges for over three decades, including in particular pioneering new partnerships and collaborations with local communities, governments and other development actors to halt the spread of infectious diseases and mitigate the effects of climate change. Humana will host a discussion on the opening morning of EDD on 7th June - 9:30am, Tour and Taxis, Room D7 - entitled ‘Bringing health services to hard to reach migrant mining populations in Southern Africa through multi-stakeholder partnerships’. The event will be an opportunity to share our learnings and discuss new approaches to tackling tuberculosis and providing integrated TB & HIV services to at-risk groups through multi-stakeholder collaboration between public, private and civil society actors, with a specific focus on our experiences with mining communities in the Southern Africa region. Sameer Sah, International Programme Director at TB Alert. 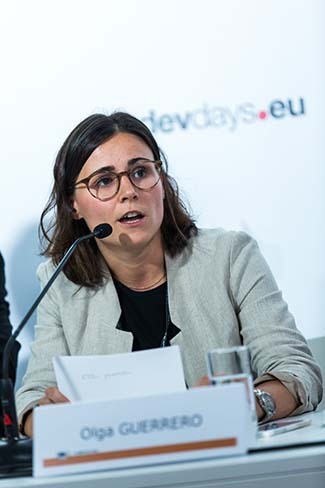 Olga Guerrero, Programme Manager, TIMS Programme Management Unit, Humana People to People. Dhavan, the Global Coordinator for Migration Health Assistance at IOM, will moderate the session. Humana People to People members have also led efforts to help communities adapt to climate change and increase access to renewable sources of energy. 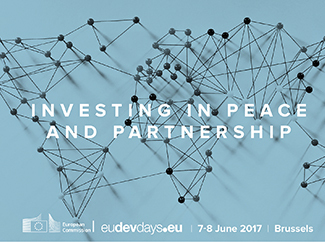 Throughout EDD17, we will be hosting an interactive stand showcasing work from a ground-breaking project in Guinea Bissau which directly benefited 2,600 households across 24 rural villages through the implementation of solar energy in community facilities such as schools, mosques, and water sources, as well as the construction of community processing centres. The stand will share lessons learned and explore beneficiaries’ experiences, as well as discuss recommendations for replication in other hard-to-reach rural communities. The stand will be located in the event’s Global Village, at stand number 36, and programme leaders will be on hand to answer your questions and discuss their work.